This is a recipe that we used to enjoy every year at the holidays when we were kids – except that my mom would put peanuts and marshmallows in there too. They were always a hit. 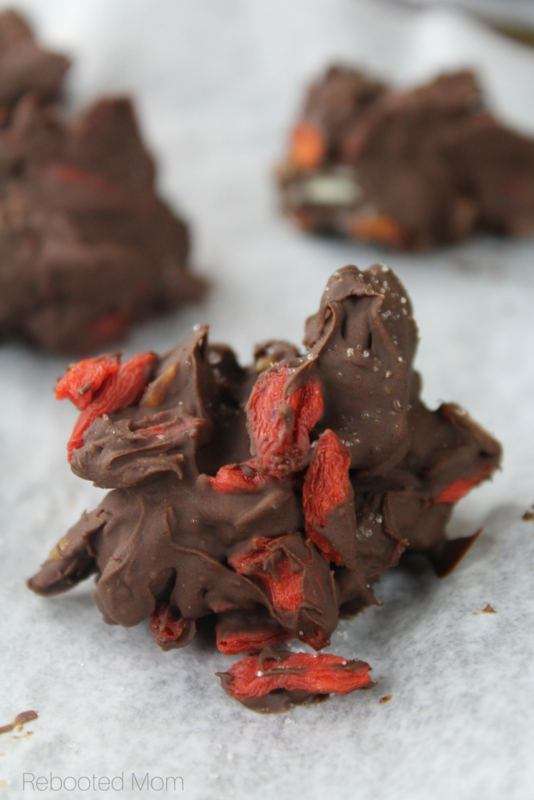 While I’m not adverse to peanuts, I wanted to keep these same treats but in a more simple fashion – these chocolate goji berry drops have just a few simple ingredients and are so stinkin’ easy to make. We always have wolfberries (also known as goji berries) in the pantry for tea, and to make homemade kombucha – at the holidays, we use them to make these simple drops. They are always the most popular item in the house around the holidays – in fact, my older kids actually go looking for them daily. I’ve told them to limit themselves to just one each day, though I’ll admit that there have been days that they have stolen 2 or 3. Combine the berries with melted chocolate and sliced almonds – drop by spoonfuls on wax paper and then sprinkle with a little sea salt. The combination of sweet and salty is seriously very addicting! You can put a batch of these together in just five minutes, then set in the fridge to cool down and harden. You’ll want to make sure you use a high-quality dark chocolate that is soy free (Enjoy Life is our favorite!). Pour the entire bag of chocolate chips in a microwave-safe bowl with a spoon of butter and zap for just 30 seconds at low heat in the microwave – remove, stir, and put back in if you need additional time. Stir in the wolfberries and almonds, making sure to coat everything well. Use a scoop or a small spoon to drop on a cookie sheet lined with wax paper – sprinkle with a little sea salt and set in the fridge until hardened. Once hardened, enjoy – or, place in a Ziploc bag and store in the refrigerator (or, freezer) until needed. Watch out — these treats, while small, are highly addictive! They would be great to serve at a get together – I guarantee you that they will be the hit of the party. 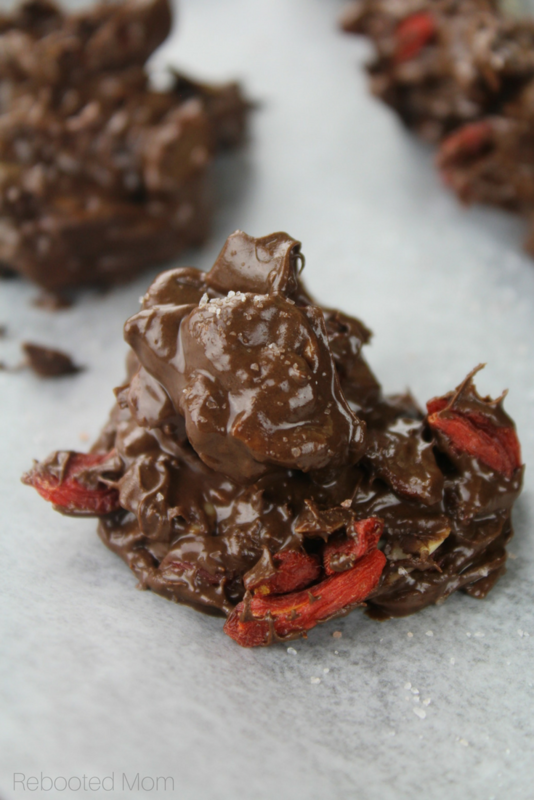 A decadent chocolate treat with just four simple ingredients that takes just minutes to make! 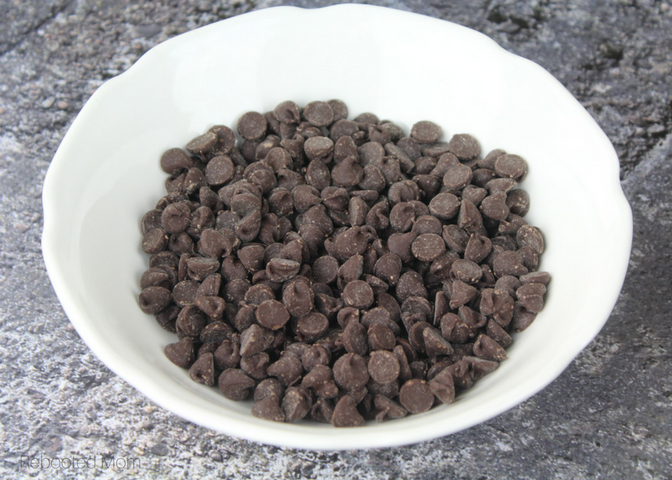 Place your chocolate chips in a microwave safe bowl and zap at low heat for 20-30 second intervals, stirring in between. You may add a single Tablespoon of butter to help the chocolate melt easier. 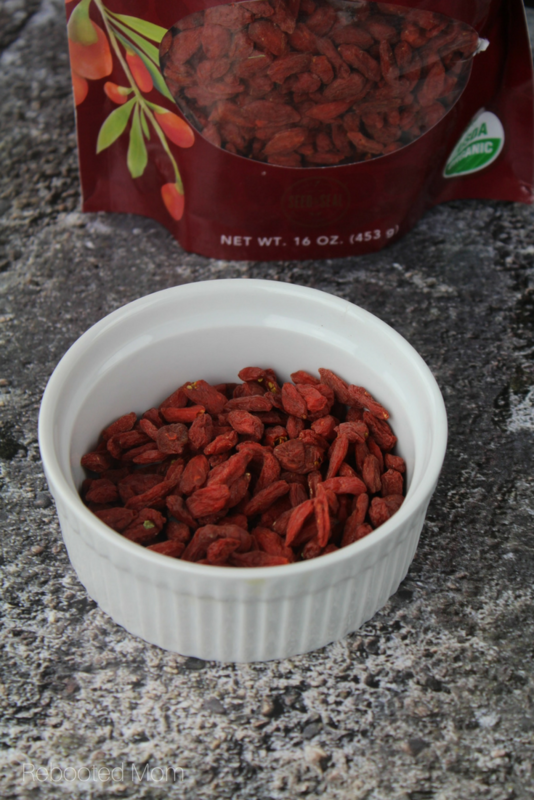 Once melted, stir in the wolfberries and almonds, taking care to cover completely. Drop by spoonfuls on a baking sheet lined with wax paper - sprinkle with sea salt. Refrigerate until the drops are solid and ready to eat. Store in a quart size Ziploc bag in the refrigerator or freezer. 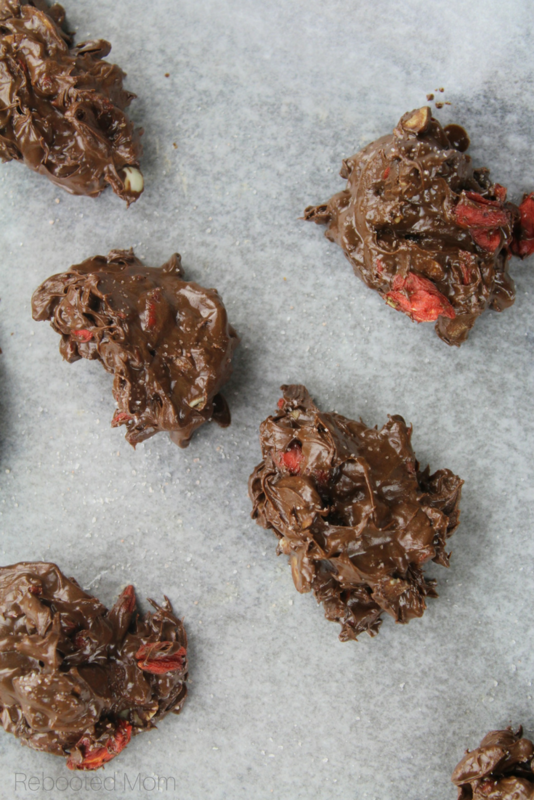 Share the post "Easy No Bake Chocolate Goji Berry Sea Salt Drops"